»Einmal Sydney und zurück« is the story about a girl named Chloe who moves to Australia to start a new life. Chloe wants to leave everything behind – especially her broken heart. So she dives into her new life, works for an Australian fashion magazine and lives in Manly – one of the hippest parts of the city. She enjoys every minute of her new life down under – at least until that one cold evening in Sydney when Daniel, her ex boyfriend, suddenly stands in front of her and she realizes that she can run to the other side of the world but she cannot run away from her past. The novel is currently only available in German. Katrin aims to translate the book into English as soon as possible. Author Katrin Schmidt lives in Manly Beach, Australia - just like Chloe the main character of her novel. 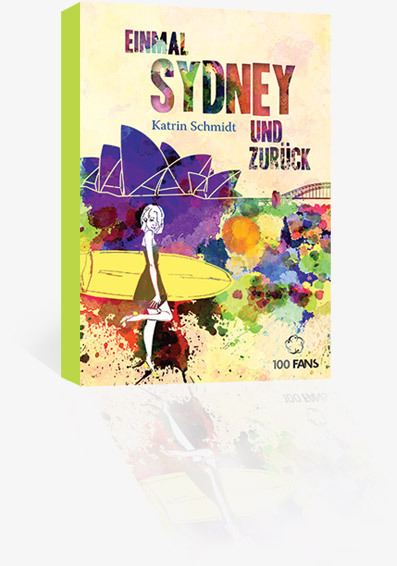 «Einmal Sydney und zurück» - which roughly translates to «To Sydney and back» is her first published novel. Major thanks to Stories That Inspire, who have shot that beautiful video of me and my story. Find out more about my novel, the challenges I faced whilst writing and how it felt to hold the first edition of the published book in my hands.